Make this the year to get clear! 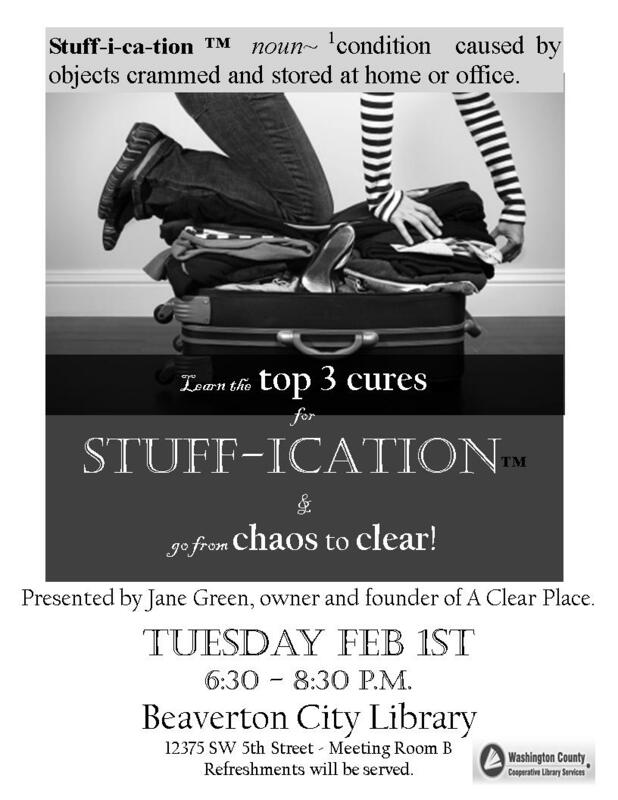 A Clear Place offers an entertaining and informative presentation using a unique “no blame/no shame” approach. Say YES To Less is a two hour workshop building on the concepts first presented in STUFF-ication in 2010. It’s perfect for brown bag lunches at the office, community groups or neighborhood meetings. Click here to read more about the workshop. Click here to learn about private consultation options. Check out these raw (as in impromptu, unscripted, unrehearsed) video vignettes. Zoe from Seniors Homing Together is preparing for her SERIOUS downsizing sale and I stopped by to lend a hand and offer suggestions. She decided on the spot to record the visit in hopes of inspiring others to start clearing their stuff. If she can do it, anyone can! Hints and links to brighten your day. This week’s mini-show features reading lists, donation suggestions, summer music and more. Check it out! 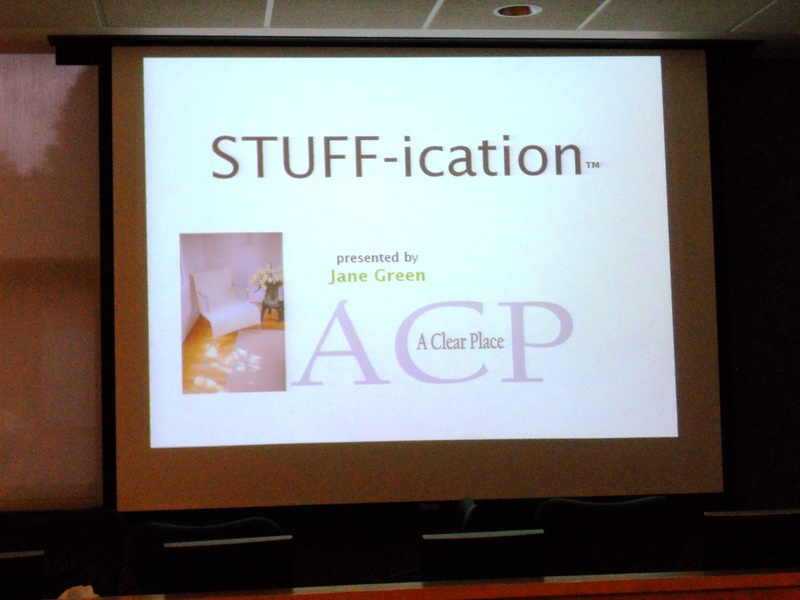 Tigard Library sponsors STUFF-ication by Jane Green this Wednesday evening. 6:30-8:30. Free. No need to register. Bring a friend! Click here for more information. 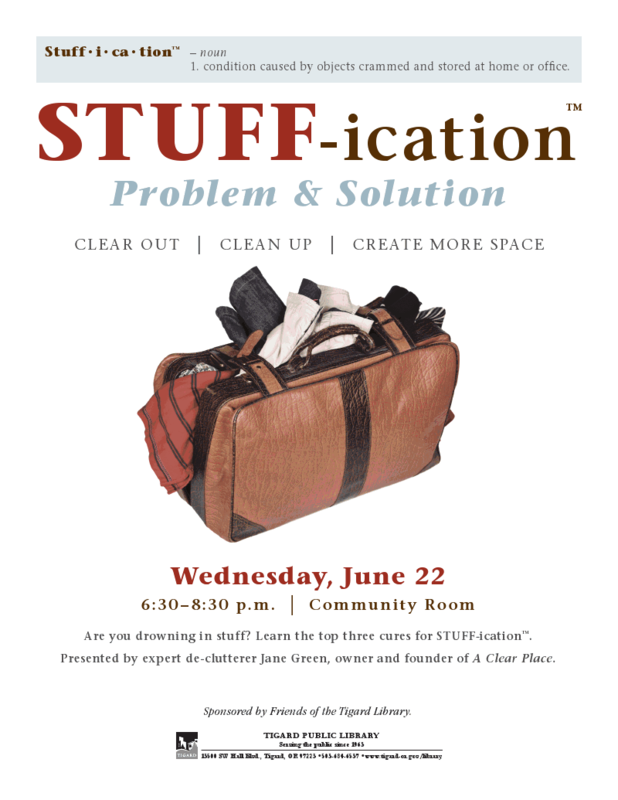 One Stop Sustainability Shop is hosting a special STUFF-ication workshop on June 15th from 6:30pm to 8:30pm. This class gives you one hour of STUFF-ication concepts PLUS one hour on how to keep your home clear and fresh for summer. 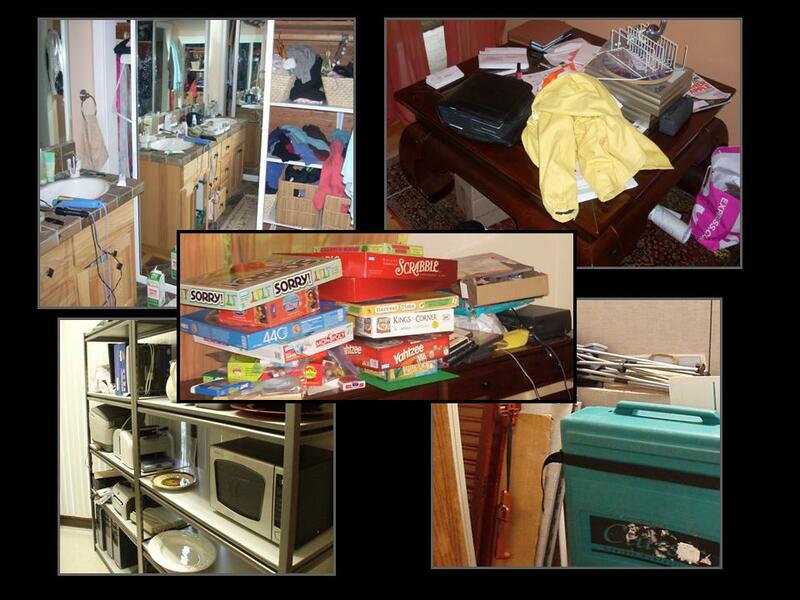 Warm weather brings heavier energy … learn what to do to keep your place clean and fresh the easy green way. Eco-friendly prizes and take home gifts, too! AND you’ll get a coupon for 10% off any purchase in the store if you care to shop after the class. Registration required. $10 fee. Call One Stop on NE Alberta to register: 503-241-5404 or click on the bag for more info and to register online. Hope to see you there! Note: Grab dinner or a snack at one of the popular spots within two blocks of the store including Black Cat, Tin Shed and Fuel. 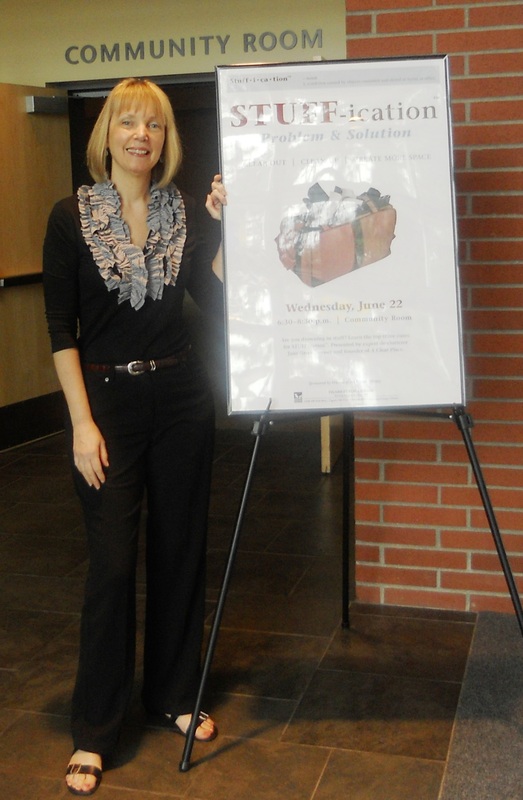 “Thank you so much for the stuffication workshop on Tuesday 2/1 at the Beaverton Library. It was both helpful and inspiring. I very much appreciated your brief history on how we got here. The immediate post-war period in the U.S. was unique in that two major transformations converged: the advent of 1) credit cards and 2) mass advertising. Together these two innoventions ushered in an era of unprecedented economic growth fueled by consumer spending on products that people didn’t need and couldn’t afford. Since the economic meltdown of 2008-2009, I have been amazed at government efforts to “increase consumer spending” in hopes that we can somehow get back to the halcion days of unregulated credit and out-of-control consumer spending. It was such a breath of fresh air to hear you give voice to the obvious: we will never get back there, and that is a good thing. The future beckons us to spend less on “stuff” that we don’t need and can’t afford.